What is a Tabloid Copier? 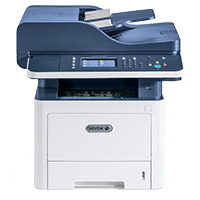 If you are in the middle of looking for a great copier solution then you may have been asked if you want a tabloid copier. These machines always look better than smaller options and come with a much larger price tag. So, what’s the deal? Are they worth it or is it all a scam? Understanding what a tabloid copier does is crucial to get the right copier option for your business. Tabloid copiers are machines that can handle tabloid prints. Tabloid prints are much larger than normal legal sized paper, and measure at a minimum of 11”x17”. This is the perfect size for things like magazines, newspapers, and posters. They can handle a much wider variety of media choices which means that you are not limited into what you can create. Tabloid copiers are also usually much faster and have a great print resolution than other options. They are powerhouses that are made for the biggest jobs. With that being said, they are fantastic for those who need them. People who rely on powerful machines like these cannot do without them. They can give you the power of a print shop in the comfort of your own office. Features that come with a tabloid copier are very expensive. A tabloid machine can be almost twice as expensive as a similar one that doesn’t have tabloid capabilities. This is why we only recommend that people who truly need them actually get a lease on a tabloid copier. If it’s not something that your business actually needs then you will only be wasting money.